Halloween is over, the clocks have gone back an hour, and the build-up to the holiday season is already tangible as shops begin to decorate their shop windows and the weather starts to take a turn for the cooler. As Christmas draws near, photography enthusiasts are beginning to consider which camera they want to document this important time of the year. To see which models were the most popular for the month of October, have a look at the top three below! This month, we were pleased and astonished to see the amazing Olympus OM-D E-M1 in first place. It was predicted that this camera would win the hearts of many professionals looking for a smaller, lighter yet extremely efficient body for work, and it seems that these predictions have come true. The OM-D E-M1 has everything you could want from a camera – lightning fast contrast and phase detect AF, speedy continuous shooting, very high image quality, pleasant colour rendering, one of the largest EVFs you’ll find on a camera, and Olympus’ marvellous 5-axis stabilisation. To find out more about the E-M1, be sure to visit our hands-on series from Castle Leslie in Ireland. In second place, we have the Panasonic DMC-G5KK, which has held onto its position in the top three for quite some time due to an ongoing discount of around $300. This amazing MFT camera is only just over a year old, so you know the specs are going to be on-par with many of the popular models on sale today. The most important specs include AVCHD Full HD (1080p) video, a 16M digital Live MOS sensor, a free-angle touch screen, speedy AF, 160-12800 ISO, and loads of creative controls. 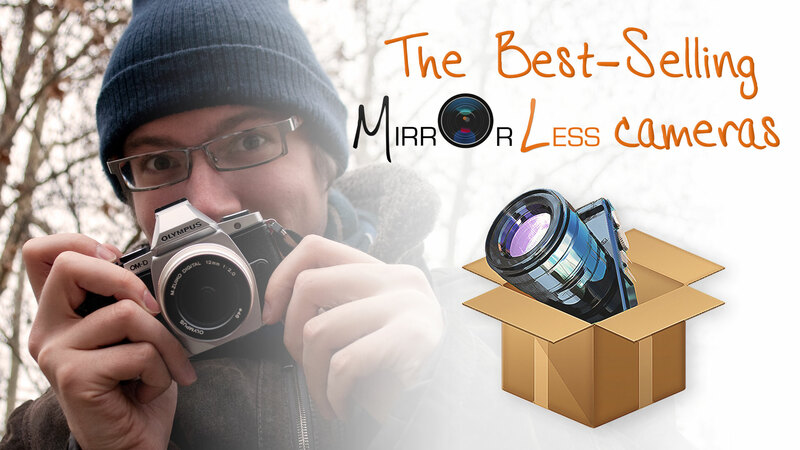 Taking third position is the camera which is currently shaking the mirrorless market at its very core. It is the full-frame Sony A7R, the world’s lightest FF interchangeable lens camera around. Though the camera won’t be available until early December, people have already begun pre-ordering it in droves. If you decide to buy this camera, it will be for the incredible 36.3 MP resolution and nothing else. In fact, its sensor has been placed on par with that of the Nikon D800. Some less significant specs include the new Bionz X image processing engine, Wifi capabilities, Full HD movie2 at 24p/60i/60p and fairly snappy autofocus. Do you think the OM-D E-M1 and the Sony A7R will be able to maintain their position amongst the Top 3?